The International Trade Union Confederation (ITUC) has declared war on climate change and fears that the global economy is permeated by greed. Secretary General Sharan Burrow makes the point: – Nobody can survive in a world with a temperature increase of 3 or 4 degrees. BRUSSELS, Sep 18 2017 (IPS) - Sharan Burrow has just returned from a long weekend in Latin America. In Panama she met with laborers. Out in the real world. That is where she is most at home. Where working conditions are poor. Conditions that she has spent her life trying to change. It’s Monday at ITUC’s office in Brussels. A first hectic week after the summer is underway. This autumn’s agenda is, as always, the obvious areas of concern for the organization: equality, migration, climate and the eradication of slave labor. ITUC has launched a campaign that they call “war on climate change”. – When you consider the losses of life due to weather change and season shifts, it’s already a reality. People are being displaced. Sharan Burrow scorns the criticism that the ITUC shouldn’t be spending time and money on the climate. – If you don’t have jobs – you can’t fight for wages and conditions. So if jobs are at risk in the context of climate destruction then it’s our core business. Among ITUC plans, is to put pressure on the giant pension funds to make sure they make climate smart investments. But pressure and demands are also put on governments, corporations and investors. ITUC is a confederation of confederations for the world’s trade unions. Sharan Burrow has been Secretary General since 2010 and both represents and is responsible to 176 million members. – Of all the international bodies that have an influence in the world of work, we are represented there. The relative importance of organs like the Davos World Economic Forum or the G20 summit for the global labor markets has been downplayed by some critics. But Sharan Burrow doesn’t pay heed to that view. – People say the G20 is not effective and we could join that critique if solely in terms of implementation, but in terms of establishing an agenda the last G20 reached two very important pieces policies for us. The labor ministers decided that violations of labor rights and human rights could no longer be part of the competition. And they decided that minimum wages had to be based on dignity. That set a framework for fair competition in a global economy that has lost its way. She is both visibly and audibly incensed. – The global economic model has failed. People are horrified that inequality is growing at such a high rate, well for us it’s not a shock, it’s built into the model. She is refering to studies that show that about 94% of the global supply chains are reliant on a hidden workforce. – If you take Latin America, 25 of the largest companies employs 70 million people but only 4 million are employed directly. The rest are a hidden workforce and they are subject to abused fundamental rights and nobody takes responsibility for this. ITUC’s position is that the importance of a social dialogue is pivotal, and they support the Global Deal initiative launched by Swedish Prime Minister Stefan Löfven. – Collective bargaining is under attack, minimum wages are low and social protection isn’t expanding. At the moment sixteen countries, seventeen unions and seven corporations are in the Global Deal partnership. Several Swedish large companies that Arbetet Global has spoken to question the intitiative, while employer organizations claim the initiative may undermine the efforts of ILO. – That’s simply an excuse to take no responsibility. Where we don’t have a social dialogue, then it it easier to deny workers collective bargaining. We need to change the rules of the global economy and Sweden is a good model on which to start. Sharan Burrow hails the economic system and the labor market in Sweden. – Collective bargaining is the strength of your economy. Why would you want to change that when you have everything? The rest of the world is trying to catch up with you. As a warning example she mentions the US. – What we see now are cities that are bargaining for higher minimum wages because there are workers who can’t live off their wages. Nobody in Sweden, nobody in Europe, nobody in the world wants a labor market and working environment like the US. In the fight for better working conditions ITUC want to see a mandatory monitoring of businesses, so called due diligence. 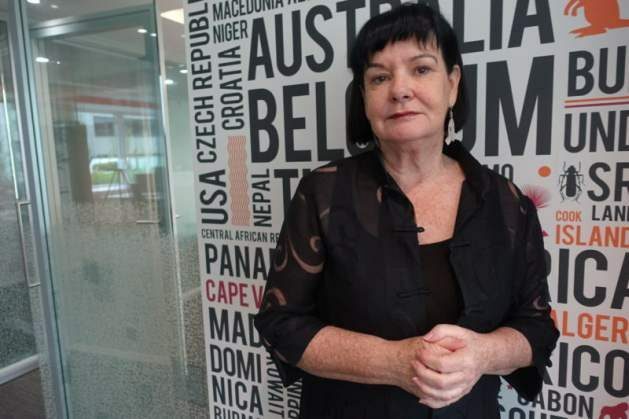 Sharan Burrow wants all companies to make a risk analysis of the working conditions, in terms of potential abuses involved in product safety, product placement or property rights. – We want to see mandated due diligence but so far France is the only country to legislate for due diligence.